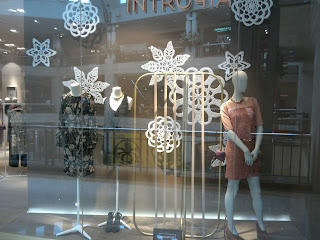 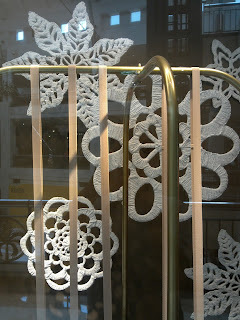 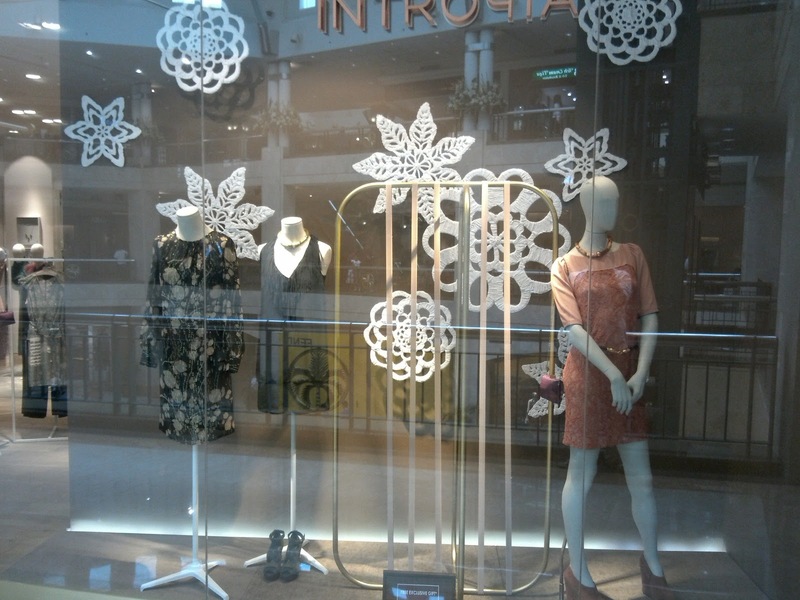 Beautiful giant snowflakes are falling so early in the Hoss Intropia window display. Those snowflakes look so fabulous and detail if you observe them closely. 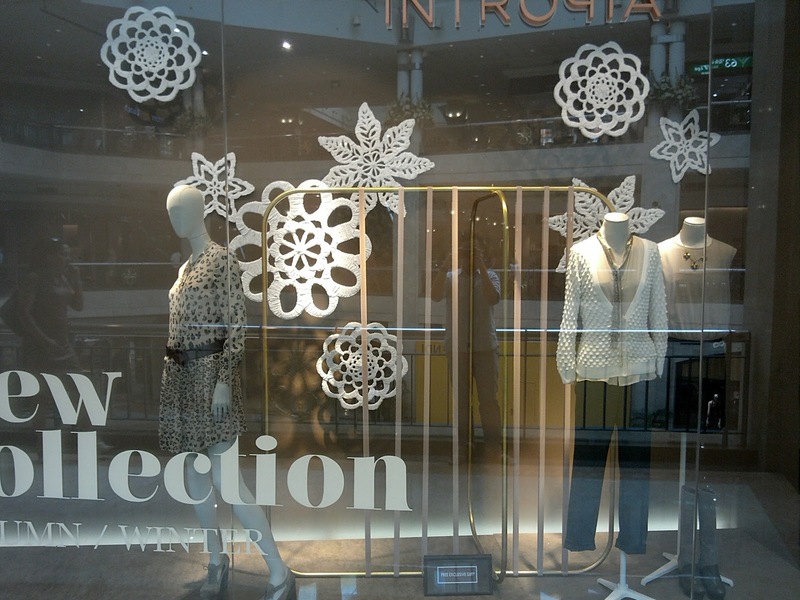 There are no other wintery properties that make the display look so modern instead of traditional.